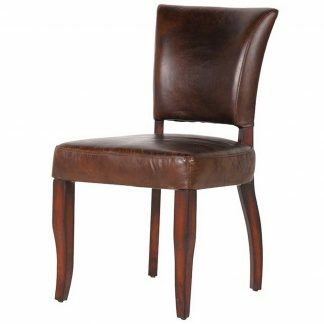 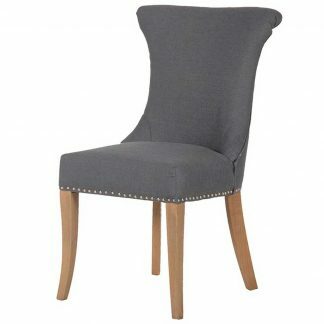 The Rubin ding chair is a stunning example of dining in class and comfort. 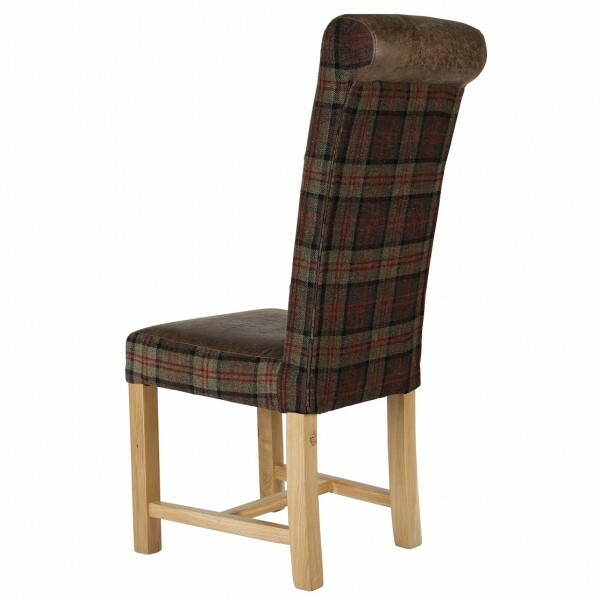 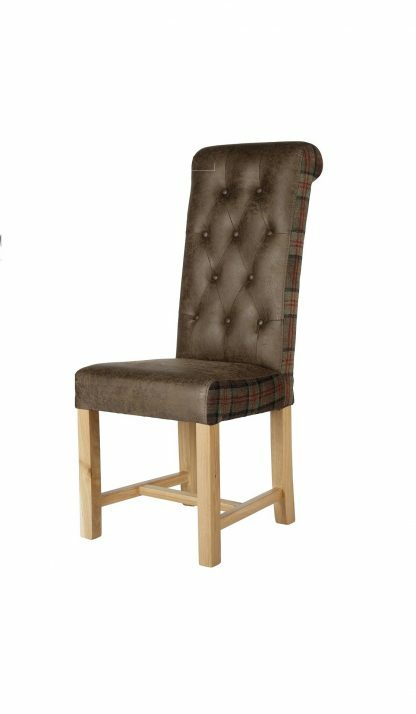 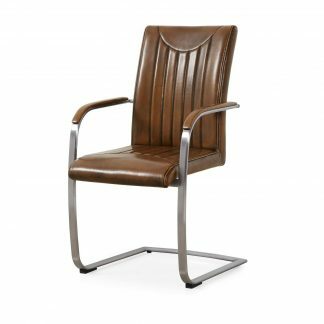 With its faux leather main cover but upholstered with stitched chesterfield tartan style back and sides makes this chair a very popular choice. 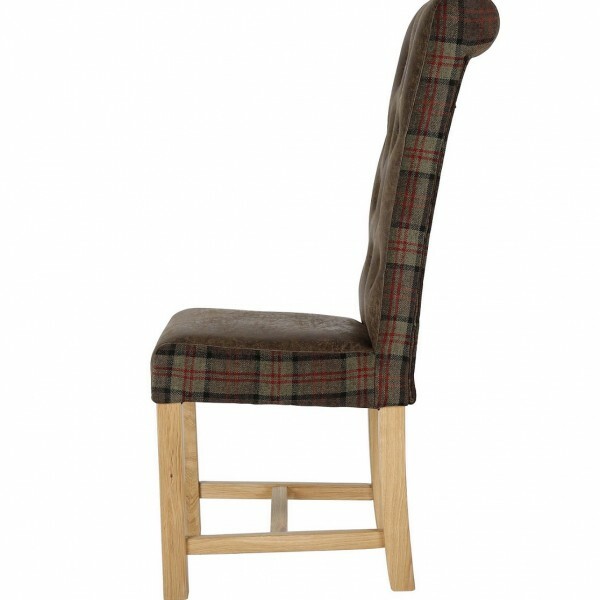 Legs are a solid h frame design made from Oak with a clear laquered finish.